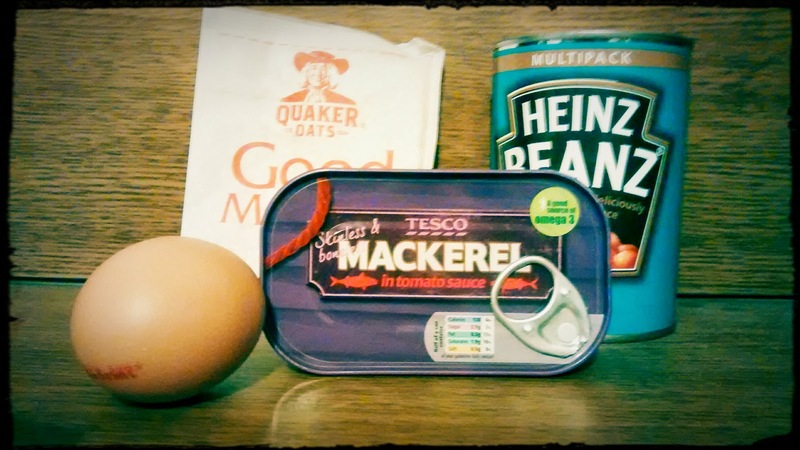 Beans, eggs, tinned mackerel and oats are high quality foods that are easy to prepare. This makes them healthy fast foods. Forget calorie counting and hamster wheel training. Burning fat and losing weight is all about eating high quality foods. This is because weight gain and belly fat are caused by poor quality foods that act as metabolic poisons. To get lean we need to replace the unhealthy foods with healthy foods. Its easy to be put off eating healthy foods if you are used to the convenience of fast foods. But some healthy food are fast foods which means eating healthy can be easy. Eggs are a highly nutritious foods. They contain vitamins and minerals, antioxidants, essential fatty acids and high amounts of protein. Eggs are also very versatile as a food, and are fast to prepare. Eggs on whole grain toast, scrambled eggs and boiled eggs all take a few minutes to make but provide high quality nutrition. At pnce per gram of protein, eggs are also fairly cheap (or should that be cheep cheep?). Make sure you get free range though, they have better nutrition profiles. Legumes are known to improve blood sugar levels and this probably explains their weight loss effects. Their beneficial effects on blood sugar results from their particularly slow release carbohydrates. Frozen beans such as baby broad beans take a few minutes to boil and are then ready to serve. Canned baked beans are not as beneficial as frozen or fresh beans, but even studies using canned baked beans in tomato sauce show weight loss effect without calorie restriction. Long chain fatty acids and protein are weight loss nutrients. Studies confirm that those that eat high protein diets and have healthy intakes of long chain fatty acids are leaner than those who don’t. This is good news if you like fish are a great source of protein and some contain high amounts of long chain fatty acids. Tinned mackerel is therefore a fast food, because preparation is as simple as toasting some whole grain bread and opening a can. Oats are a traditional Scottish food that are known for their health giving effects. They are high in protein, fibre, micronutrients and contain antioxidants. Eating oats is associated with improved body composition. Preparation of oats is as simple as adding milk and cooking for a few minutes on the stove. Eating oats for breakfast is a great way to dull the appetite for the rest of the day, and their warmth provides comfort on cold winters days. Fast food doesn't have to mean junk food. Listed here are four high nutritious food that can be cooked in less time than it takes to order a pizza. Eating nutritious high quality foods doesn't have to be a bind. If you don't like eggs, tinned mackerel, oats or beans, find your own nutritious fast foods. Just makes sure you stay away from the salt and sugar laden junks fast foods made by the major food manufacturers. Their fast food may taste nice, but it will also make you fat.